Home › #am2dm › Is This News/Talk Radio For A New Generation? What happens when the future of News/Talk radio is not on the radio? It’s not new. The show, a production of Buzzfeed News and found on a Twitter feed near you, just celebrated its 100th episode. It claims a total of more than 1 million views per episode, according to Buzzfeed. Personally, I think there’s some serious number-fudging going on there. Who knows, for example, how many of those views include audio? Nevertheless, I don’t doubt that the show attracts lots of views. Airing Buzzfeed-sourced content on Twitter Live will do that for you. Still, watch an episode of this and you’ll see that this is essentially News/Talk radio (or, perhaps more accurately, CNN) for a mobile generation. People younger than most of your talent and cooler than most of your talent speaking to an audience younger and cooler than most of your audience. Now don’t tell me “yes, but this isn’t on radio, it’s on Twitter. It’s made for Twitter.” Actually, no. It’s made for audiences that use Twitter – audiences averaging much younger than N/T audiences for a reason. This is the big flaw in obsessing over “share of ear.” Share of ear only matters when ears are the only thing that matters. Watch your kids and their mobile phones and apps and tablets and tell me that’s true, I dare you. Share of attention is the meaningful metric, wherever that attention wants to be. Capturing it alive is your job. How “good” or “bad” the show is is somewhat beside the point. How “good” or “bad” is your favorite radio talk show, anyway? It depends on who’s being asked, right? And if “good” and “popular” were the same thing, then last year’s mega-hit Wonder Woman would not be snubbed for the Oscars this year and everyone would have seen Three Billboards Outside Ebbing, Missouri by now. It’s hard to watch an episode of #AM2DM and not recognize the vast difference between this content and the way commercial radio approaches spoken word with its hard-core political agendas, its feverish tone, it’s polarizing perspectives, and its white-haired, aging lions. I’m not making a political point here, I’m making a stylistic one. Angry and extreme come in all ages and all political persuasions. Is that all there is? These characteristics are, for a time at least, ratings winners. There’s no denying that. Until the audience slides so far beyond the sales demo that it ceases to be relevant and ceases to be large. Then you’re left with less time from fewer people less often. And so continues the long, slow spiral down. Unless we’re talking about the above average FM morning show or Sports Talk, it seems to me that radio is still generally devoid of experiments designed to bring on-air conversation to audiences under the age of 54 unless that conversation is surrounded by songs. Podcasts are doing this all day long every day, of course. Do we really want to teach new generations that hereafter all their news/talk will happen either courtesy of public radio or of on-demand audio, the vast majority of which does not come from commercial radio sources? Are the days of risk-taking long over? Are we to forever chase yesterday’s audiences into tomorrow and ultimately into oblivion? 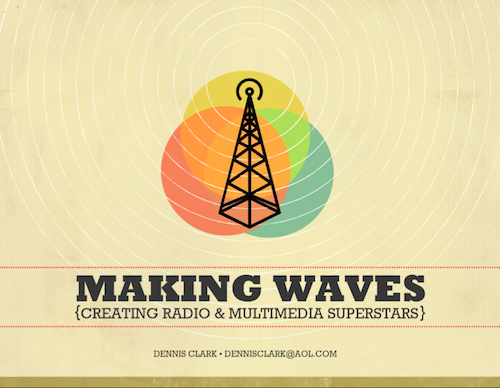 #Radio: What happens when the future of News/Talk radio is not on the radio? #AM2DM happens. When the single biggest problem radio faces is not shrinking reach but shrinking time-spent listening, how many experiments are underway to turn that TSL around? Watch some #AM2DM and think about that.